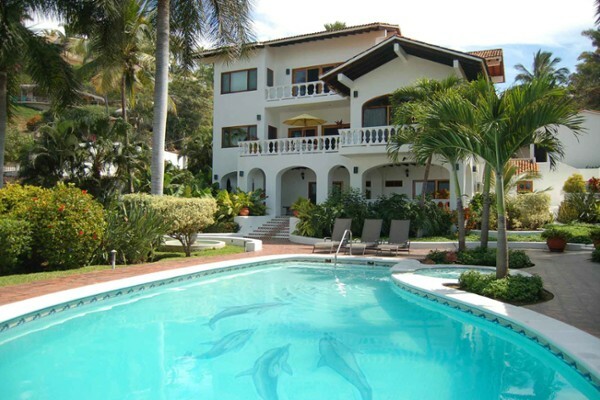 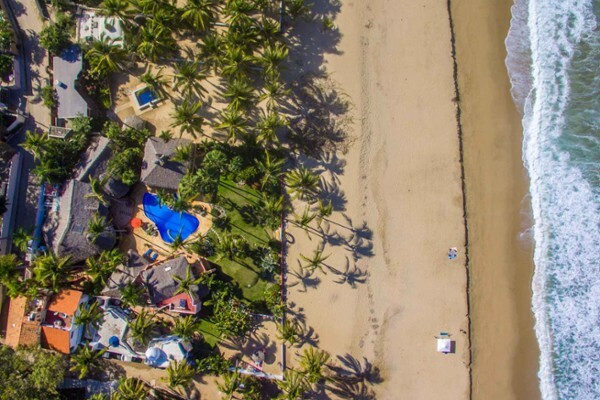 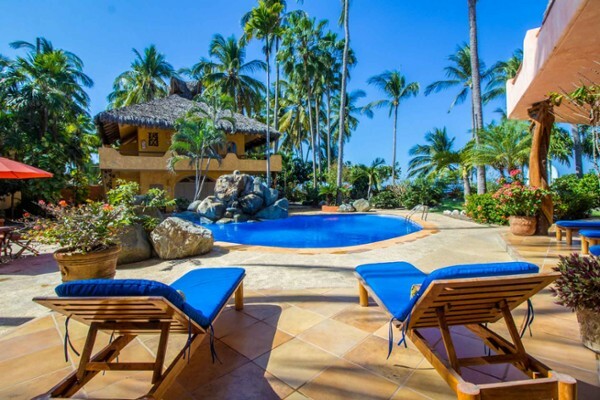 Casa Mi Cielito is a private lush beachfront paradise and one of the most magnificent estate properties in all San Pancho. 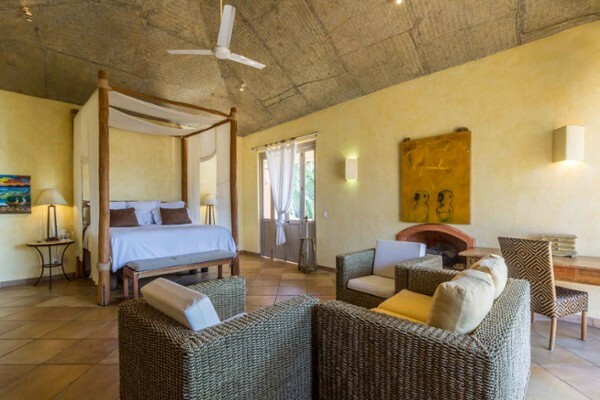 This 6 en-suite bedroom home offers views of the ocean and beach from every corner of the property and also includes a two-bedroom caretakers apartment and large garage. 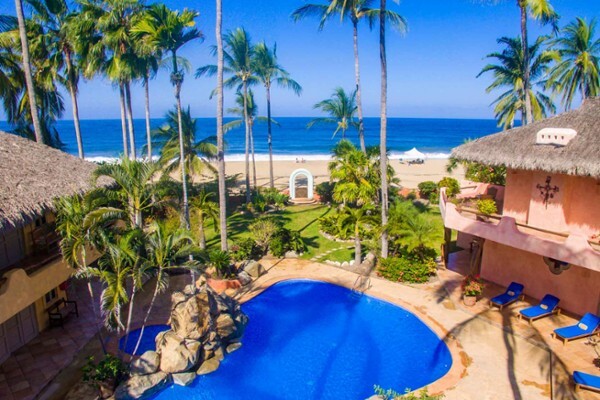 The sweeping garden terrace surrounds an elegant beachfront pool and hot tub ringed by thatched roof palapa lounging areas. 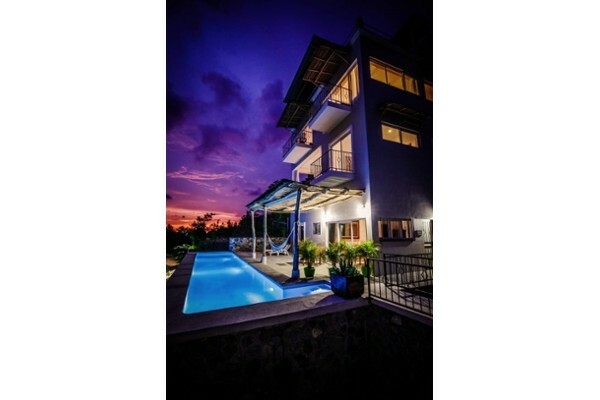 The villa hosts over six thousand square feet of living space, including six private bedrooms, each with en-suite bath and panoramic views, expansive living room, bar, kitchen, terraces, and separate staff quarters. 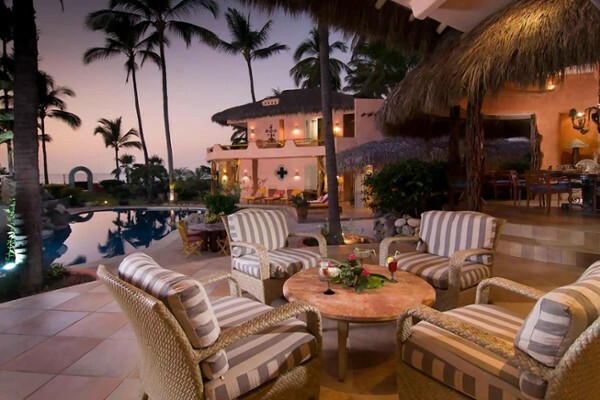 Casa Mi Cielito is cleverly decorated by designer Peter Bowman. 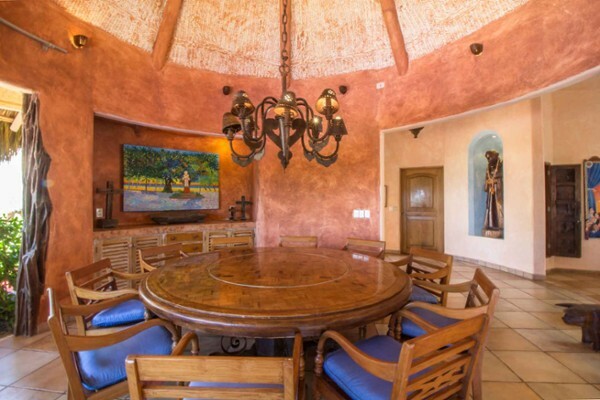 His unique style appoints the luxurious accommodations with artisanal rustic elements reminiscent of old Mexico and the Southwest. 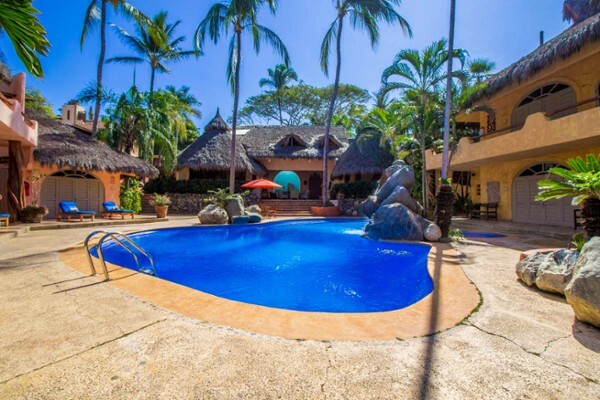 With ocean views from every room, Villa Lucile has the best panoramic views in San P..
Villa de Roja is one of the few villas located right on the pristine San Pancho beac..